By Fer O’Neil, a Knowledgebase Technical Writer at a security software company and a Ph.D. student. 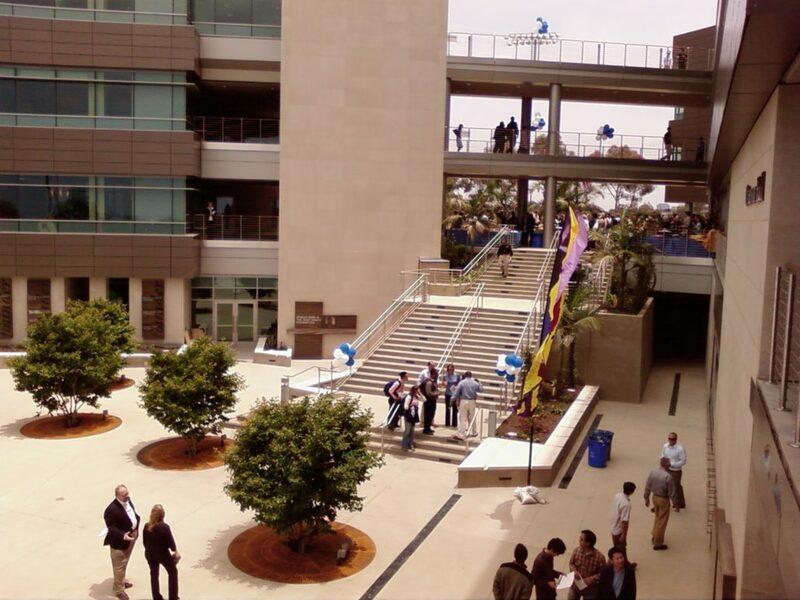 In the final week of June, the Rady School of Management at UC San Diego hosted the 16th annual Workshop on the Economics of Information Security (WEIS) conference. Over the course of two full days, seasoned researchers presented and discussed the tools, processes, and methodologies that inform cyber security technologies as well as national and international cyber security policy. As a first time attendee, I will share my perspective of the sessions and the conference as a whole. What is WEIS—Why haven’t I heard of this? importance, with threats proliferating, privacy eroding, and attackers finding new sources of value. Nearly all of the presentations were empirical research studies that used economic statistical models to look at correlation and causation of behaviors and events applied to cyber security topics. This type of research is important because of the constantly changing information security landscape. I thought that the presentation by Hasan Cavusoglu An Empirical Investigation of the Antecedents and Consequences of Privacy Uncertainty in the Context of Mobile Apps elucidated nicely how uncertainty in economics relates to cyber technology applications, marketing efforts, and information security systems. That is, uncertainty is the consequence of incomplete information, and this relates to the models and frameworks for how people make decisions with incomplete information and the outcomes as a result (for instance, consequences or benefits). If one were able to combine all of the information from all sessions, you would have a tremendous ability to predict levels of security vulnerability based on intrinsic and extrinsic factors such as market share, competition, lack of security patching etc. For example, Sam Ransbotham investigated the The Effects of Security Management on Security Events to determine whether a security event at a competitor affects a firm’s security management practices. He found that breaches do increase active port management (observable activity), and that firms respond to breaches at other firms in their industry. There were 25 presentations and there was so much information shared that I can only encourage others to look at the session topics and read the abstracts to the papers that interest you—and also note that the WEIS website does an excellent job posting links to every paper presented at all WEIS conferences since 2005. When I posted that I was attending WEIS this year, several people in the cyber security industry commented that the sessions looked “academic,” but I didn’t quite understand what that meant. The conference presenters were a mix of pioneering and influential information security researchers, top government security directors, leading security and privacy lawyers, and prominent security think tank researchers, among others too many to list. The conference was full of strategy and policy information for how cybersecurity risk should be managed and business decisions made based on empirical evidence. Next year’s conference will be held in Innsbruck, Austria, mid-June. I encourage you to review the papers on the conference website for the topics that are relevant to your industry to see the most current research available related to cyber and information security. For industry professionals that question what benefit they would receive by attending WEIS, I have compiled a selected list of presentations that provide applied research for various cyber security topics. countermeasures. For example, this research shows that the size of provider, popularity, and price leads to exposure and incidents. Therefore, better security procedures leads to less security incidents. related to fraud and can be used to help predict which customers are more likely to leave a bank for certain adverse security events (and when). remediation advice at trusted sites. Ross Anderson’s paper reports a project for the European Commission and demonstrated that maintaining critical software, such as medical devices, vehicles, and power grids is going to continue to be a big problem. Ross discussed the strategic educational challenges as safety and security become intertwined where safety engineers will have to learn adversarial thinking while security engineers will have to think more about usability and maintainability. He outlined his current teaching at Cambridge for first-year undergraduates, when they get an introductory course in `Software and security engineering’ where security and safety are taught as two aspects of the same mission: designing systems to mitigate harm, whether caused by adversaries or not. Min-Seok Pang found that for every 1% increase in cyber spending, there was a 5% decrease in security incidents (phishing, malicious code, social engineering, policy violation etc.). Further, the more dispersed (not concentrated) offices are, the fewer security incidents it encountered.